The Shires Blenheim Three Way Leather Coupling is designed to give extra control for horses on the lead rein and is ideal for showing. Leather couplings attach to the bit rings and the back of the noseband to give extra control without too much bit pressure; perfect for young horses in the show ring. 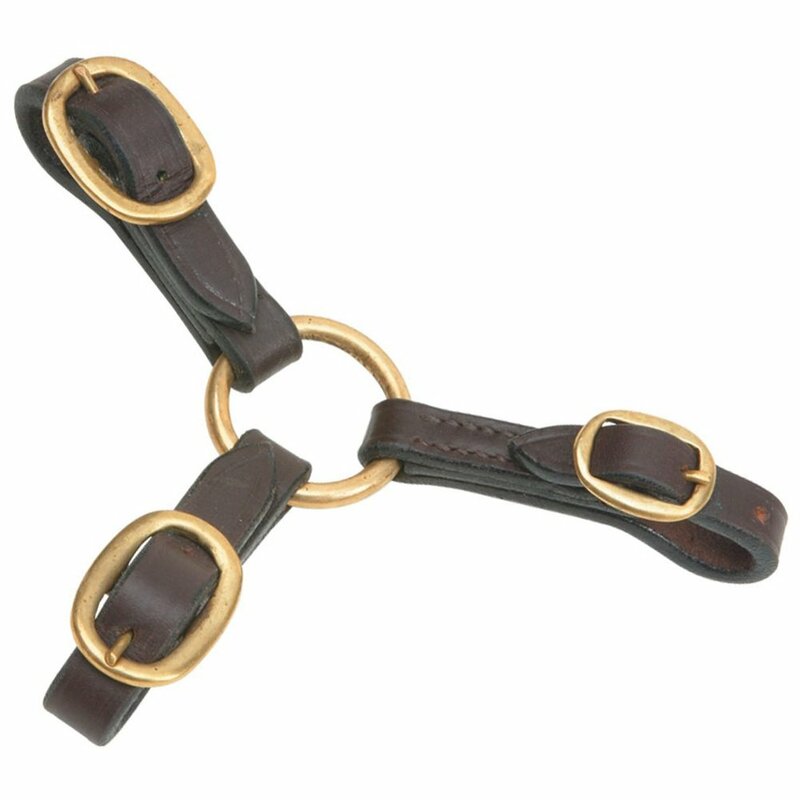 The Shires Three Way Leather Coupling has three brass buckles and a central brass ring.